Thanks for posting this Lorenz. This is much needed work. Ntarangwi could have also done the unconventional thing of sharing his ideas with a wider audience, rather than restricting it to print, where only a few will ever read it. I do very much like what he is saying, as you report it, it is long overdue. From my perspective, the only reason I could think of joining the herd on its annual pilgrimage to the AAA (I have never been to their conferences in person), would be to scrutinize the events as he has. One needs to also scrutinize those who depart from the periphery each year to go massage the ego of the monster. Now a group of Americans is debating whether anthropology is a “science"…irrelevant to where I am, but they speak as if their anthropology was the universal one (and that makes the debate more relevant). When the AAA teams up with other North American anthropology associations, as it has done in Mexico and Canada, they gather as if their discussion of matters concerning American anthropology held equal weight and the same meaning for everyone else, which they do not in many cases, and the result is that they tend to bore and annoy some of their non-US colleagues (though, I am sure, they were careful not to reveal their true sentiments, being the good academicians that they are). These are very good comments and suggestions but alas as part of the larger machine of publishing and control the book is only available in print. I echo your sentiments on how self-absorbing some American anthropologists can be and the assumption that theirs is the only anthropology worthy of thinking about. I try to analyze some of the issues of collaborating with other anthropology associations in my book and might be interesting to hear your thoughts once you get to read it. This book in also on my reading list! As you said, it’s well overdue - in fact I think I have wished for such a book to appear since in my introduction to the discipline (ie. student days)… The critical perspective seems engaging, and I also look forward to learning more about Kenyan scholarship at the same time. The preface is certainly exciting. Thank you for posting, I look forward to your impressions once you’ve read it. I don’t know if it’s an issue of studying “up” or studying “down.” I haven’t read his book, but certainly those who are not from the mainstream dominant cultural background of the majority in the discipline here in the USA can tell you that our experiences among “others” and anthropological analyses in our research might differ vastly just from the fact we are not from here. Certainly in my case, I was not perceived in the same way as an American of any skincolor, etc. would be when I are in the field. In addition, what might appear “exotic” to some of our colleagues was actually more familiar to some of us than a predominantly white academic environment in the Midwest. 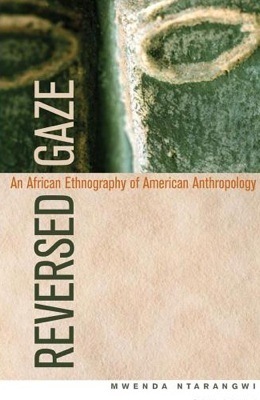 Rather than only looking at anthropology as inherently something or another, people can consider that American-based anthropology does not have some special immunity from the same racism, ethnocentrism, and hierarchies that pervade here. It seems that some of this is an attempt to appeal to the resurrection of what has been called “halfie” anthropology, but perhaps on better terms than being reduced to apologizing for having some advantages. It might work for some and it might work as a means of taking the discipline in areas that it needs to go in order to fulfill what it makes claims to but for some of us the need to leave the USA is stronger than the desire to “fix” anthropology. There’s nothing “important” or “needed” about this work. It totally misses the mark. Ethnology studies the western cultures, anthropology compares with non-western cultures. That’s what defines the disciplines. He might aswell asked why Americans don’t live in Sweden. The question totally misses the mark.